Drew Angerer/Getty Images; Sean Gallup/Getty Images; Jenny Cheng/Business InsiderMichael Cohen and Donald Trump. 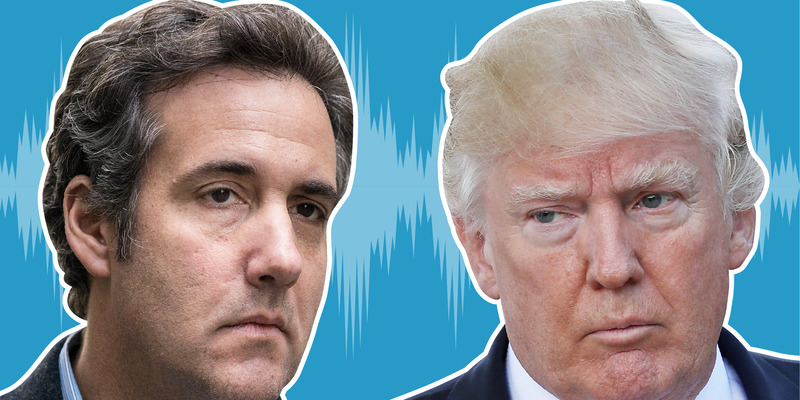 President Donald Trump denounced his former lawyer Michael Cohen for “flipping” on him by making a plea deal with prosecutors, and even said flipping should be illegal. Yet Trump himself has cooperated with law enforcement at least twice going back to the 1980s. He reportedly testified in a sales tax evasion scheme to avoid prosecution, and also offered to place undercover FBI agents in his Atlantic City casinos. Former federal prosecutors say Trump railing against “flippers” reminds them of language accused criminals use. President Donald Trump decried the his former personal lawyer Michael Cohen “flipping” on him by pleading guilty to 8 federal crimes and went as far to say flipping should be “outlawed”, in a Wednesday interview with Fox News. But Trump himself has a long history of cooperating with law enforcement going back to the 1980s. “I know all about flipping. For 30, 40 years I have been watching flippers,” he told “Fox & Friends” host Ainsley Earhardt in the interview that aired Thursday. Cohen struck a deal with federal prosecutors in the Southern District of New York on Tuesday to plead guilty to charges of tax evasion, bank fraud, and making illegal corporate and campaign contributions to influence the 2016 election, directly implicating Trump by claiming he committed those crimes “at the direction” of the candidate. Yet, on at least two occasions in the 1980s, Trump reportedly testified to avoid persecution and actively offered to cooperate with law enforcement to quash criminal activity. As Buzzfeed News reported in January 2017, Trump offered to “fully cooperate” with the FBI to monitor potential organised activity in his Atlantic City casinos as far back as 1981. An FBI memo from that year details Trump and his brother Robert raising concerns with the Bureau about building a casino in the New Jersey gambling hotspot given reports of widespread mob activity, and discussing plans to place undercover agents in the casino. It’s worth noting there is an important distinction between a defendant making a plea deal in a criminal case and a business owner offering to work with law enforcement to thwart potential illegal activity. 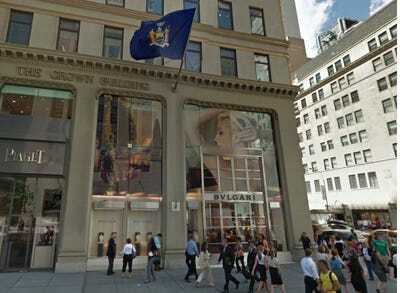 Google MapsThe Bulgari store on Fifth Avenue in New York City. In the mid 1980s, Trump was one of several celebrities reportedly caught up in a sales tax evasion scheme with luxury Fifth Avenue jewellery boutique Bulgari. To avoid the hefty New York state and city sales taxes on high-end jewellery, authorities said customers would order jewellery to be shipped to a different state without such steep sales taxes, The New York Times reported in 1985. The store would then ship an empty box to an out-of-state address while customers walked out of the store with the items without having paid the proper taxes. Authorities said Trump avoided paying sales tax on about $US65,000 worth of jewellery, United Press International reported in 1986. Henry Kissinger, Frank Sinatra, and Mary Tyler Moore were also named in the probe. When authorities in New York state caught onto the scheme, Trump reportedly testified against the employees at Bulgari Jewellery in order to protect himself from criminal prosecution that could have put his real estate licence in jeopardy. A former state prosecutor told ABC News that Trump and other customers helped build the case against the store. The boutique and two of its executives ended up pleading guilty to criminal charges, and paid $US2 million in fines, The New York Times reported at the time. While Trump may have taken active steps to monitor organised crime back in the ’80s, former federal prosecutors expressed alarm at Trump’s more recent comments – even comparing them to something a mob boss would say.